This post was written for Sound on Sight, an excellent online spot for great writing on film and television. You can check out the original post at this link. This is a grand age of serialized TV drama where networks don’t shy away from airing shows with complex arcs. There’s a downside to this extended story line, however. Creators may plan out multiple seasons for their characters, but they slow the pace down to a crawl. The episodes feel their length, and the audience is just waiting for the rare moments when something happens. Glacially paced series like Flash Forward and The Killing had a good start but became nearly unbearable by mid-season. Thankfully, there are amazing shows that dive into the action like every episode is their last. Even long-running classic shows like Battlestar Galactica and Lost didn’t waste any time and delivered remarkable drama from the start. Another intriguing example is Prison Break, which premiered on FOX on August 29, 2005. Its first season is set up like one long story where Michael Scofield (Wentworth Miller) purposely enters prison to break out his brother Lincoln Burrows (Dominic Purcell). Even when its original 13-episode run is extended to a full season, the writers keep their eye on the ball. The pace stays relentless, and they keep raising the stakes until the final episode. The pilot is directed by Brett Ratner, who’s considered a mediocre filmmaker at best. His style is the right choice for this show and brings a relentless tenacity to the material, however. Michael throws himself into the plan with no parachute, and the camera work matches this courageous (and foolish) venture. 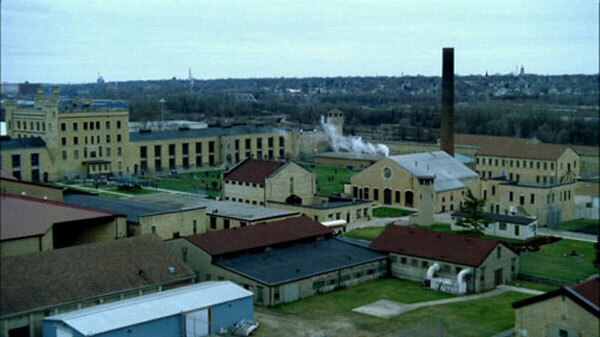 The opening segment provides a glimpse at Michael’s plans for the prison and the characters that he meets inside. He robs a bank, receives his sentence, and the action moves to the prison in record time. This is a wise choice from Creator Paul Scheuring, who also wrote the script. He doesn’t waste time on exposition and trusts the audience to follow along. It’s thrilling to watch this type of show because it’s so rare, particularly for its era. Its closest companion is 24, which used a similar approach in its first season. Both shows recognize that modern audiences are ready to jump into the action without understanding the destination. 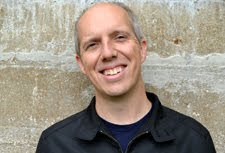 Scheuring sets the stage for a brilliant opening run and puts all the pieces in place in the opening episode. 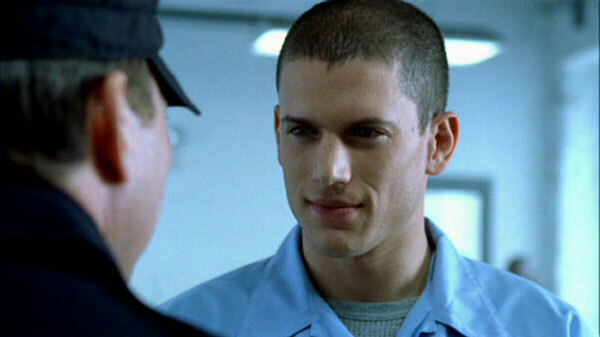 The breakout star is Wentworth Miller as Michael, the brilliant engineer who knows the prison inside and out. He’s aided by the world’s most complex tattoo, which actually includes the plans of the facility. This device is a great visual to close out the episode, though it does require him to wear long sleeves a lot more than your normal guy. The make-up crew only has a certain budget! Miller does an excellent job showing Michael’s brilliance and the arrogance that nearly jeopardizes the plan. He also shows the charm that draws the eye of Dr. Sara Tancredi (Sarah Wayne Callies). It’s clear this isn’t the typical prison thug, and even the stern warden Henry Pope (Stacy Keach) recognizes the difference. The pilot sets up Michael’s relationships with both characters that are essential to the first season. His cellmate Fernando Sucre (Amaury Nolasco) is already pining for his girl outside, so that painful story line begins right away. We’re also briefly introduced to important supporting players like John Abruzzi (Peter Stormare) and “C-Note” (Rockmond Dunbar). These guys will join the ever-growing gang that decides to try and escape Fox River. It’s surprising that the nuttiest inmate doesn’t even appear in the premiere. Robert Knepper makes quite an impression as “T-Bag”, but he arrives in the next episode. There’s a real depth to the cast that keeps it from being a one-man show. Dominic Purcell eventually becomes the co-lead as Lincoln, but the pilot is definitely Michael-centric. Beyond the prison story, there’s also a conspiracy surrounding Lincoln’s incarceration that eventually becomes much larger. The shady organization is represented by Paul Kellerman, played with glee by Paul Adelstein. He’s an intriguing villain because there’s so little information about him. He murders a bishop in pilot, so it’s clear this guy means business. It’s refreshing to note the limited time spent on this conspiracy in the beginning. It grabs far too much screen time in the later seasons and changes the tone of the show. Michael may have to escape yet another prison, but that attempt lacks the focus of this brilliant season. 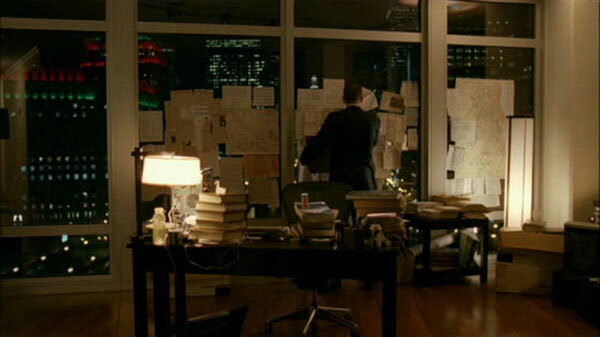 In the opening shot, Michael stares at a giant board of information and is ready to strike. There’s no going back from this move, and his determination sets just the right tone. This isn’t an out-of-control criminal taking another shot at something daring. Michael is a straight arrow who’s leaping completely out of his comfort zone to save his brother. He may need to cross some serious lines to succeed, and it’s certain to be a painful experience. Prison Break may not rank among the best shows of the past decade, but it’s consistently entertaining and is worth revisiting. The relentless pace barely lets up and keeps raising new obstacles for Michael and Lincoln along the way. There are a few missteps in the early going, particularly Lincoln’s son LJ (Marshall Allman). A show with this many characters does not need a precocious teenager, particularly one with such little personality. LJ plays a key role in the plot and makes sense from that standpoint, but his scenes are one of few blemishes. Another less-exciting character is Veronica (Robin Tunney), Lincoln’s lawyer and former girlfriend. She investigates the conspiracy from the outside but isn’t as engaging. Even so, neither plays a major role in hurting the momentum. So much happens at Fox River that it easily outshines those concerns. The pilot sets the stage for an incredible opening season that is perfectly designed for a home marathon.